I was sat in a Costa Coffee shop the other day where inspite of the name I ordered a cup of tea, not for me one of the multitude of choices of Earl Grey to flavoured versions but a simple mug of – builders if you will – tea. And even that has now been branded as “English Breakfast” tea – so what happens if you want it for lunch? My immediate reaction was – Error, error for one very simple reason. Tea is supposed to be made with ‘boiling water’ that is water that has been heated to at least a minimum of 100 degrees Centigrade. The one I received much to my dismay was at best ‘lux warm’. A warning to all you young people – as you get older you find you become dismayed at most things and usually most of the time. Now I understand why the tea was only warm – coffee as it is made by the fancy machines they have – with water or milk -or both – is at a temperature some way off the boiling point because it is how the best cup of coffee is produced. As a slight digression I once bought a cup of coffee at Dubai Airport that was made with boiling water which was undrinkable not only because of its temperature but because it tasted bitter. Which in itself is a strange thing to say because since I paid for it was obviously “MY cup of tea” except in terms of quaint colloquial English because of its temperature it wasn’t. Now this incident got me to thinking about other things that weren’t “my cup of tea” – Premiership football (soccer to our American cousins), the U.K. Government, Vladimir Putin, Donald Trump and closer to home bad drivers who cut you up or don’t acknowledge it when you let them into the traffic flow, bad roads and of course some people I have met and some I know – though in the latter case I simply avoid or/and ignore them whenever possible. It is strange that when you are young -and I mean very young – you want and expect everyone to be your friend and you want to be everyone’s friend so I wonder at what stage do we realise that isn’t going to be possible? 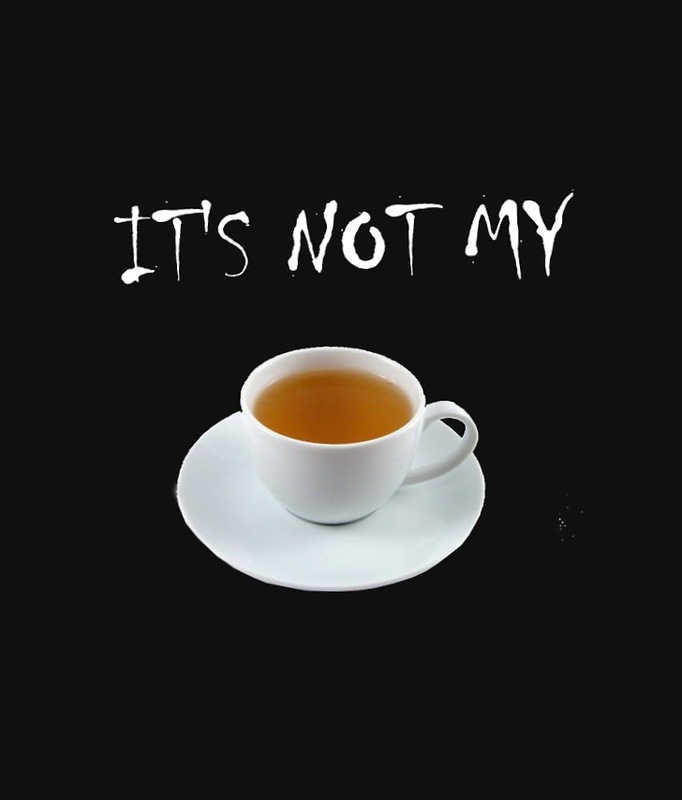 When do we realise that such and such is simply “not our cup of tea” or that we aren’t theirs? At what point do we decide that we aren’t impressed by some people or that we are not going to waste any effort on trying to impress them? Of course at the same time when do we realise that some people we meet think exactly the same about us? Think about people we meet whilst on holiday who we’ll never meet again – or are very unlikely to meet again – who try to impress us or who we try to impress and ask yourself why? Worse still is when just like my lux warm cup of tea why do we continue to spend time with and on people who in terms of our lives don’t really matter – that is not to say that people don’t matter because in fact everyone matters but not necessarily to us as individuals – instead of making the decision to change? The whole world of almost seven billion people matters to someone even if it is only to themselves and their own self-survival but it is basic fact of life that not everyone you meet will like you and sometimes for no discernible reason. Not everyone you meet will you like and you wouldn’t be able to explain why if you were asked. So why do they or you bother to make the effort. Wouldn’t we be better off simply concentrating on developing our friendships with those we love and who love us? As it happens I like coffee and tea so whether someone is “not my cup of tea” or even “my cup of coffee” the result will always be the same – I’ll be polite when in their company but won’t seek their company out – life is simply far too short. Absolutely agree… On all your points. A cup of tea lukewarm? Ugh. A lukewarm reception and interaction given how precious time is? Ugh. Out with toxicity and let’s have a good healing satisfying cup of tea metaphorically speaking.